15% (Fifteen Percent) of the Fee payable for the first year only, shall be paid by the student separately at the time of filing the Eligibility Application as University Eligibility & Registration Fee. This fee shall be paid by a Demand Draft (DD) drawn in favour of “Registrar, Dr. D.Y. 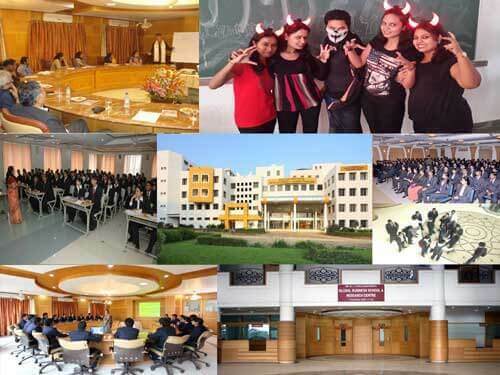 Patil Vidyapeeth, Pimpri” payable at Pune. The Annual fee shall be increased by 3% each year. The annual fee is to be paid by a demand draft (DD) drawn in favour of “Director, Global Business School & Research Centre,” payable at Pune by the student at the time of counseling and issue of admission letter. In this 24 month MBA programme you will focus on the core modules to build your foundation in business and then build your own elective and project portfolio that suits your academic and career ambitions. While enjoying all the benefits of a large Global Business School and Research Centre pioneering work in Marketing Management, Human Resource Management, Finance Management, International Business Management, IT & System Management, Biotech & Bioinformatics Management, Pharmaceutical Management, Hospital & Health Care Management. This combination opens up opportunities to build a programme of study around your interests as well as taking advantage of the research of one of the best universities in MBA courses. The student takes part in Innovation Challenges that links Global Business School and Research Centre to top management institutes worldwide. The classroom knowledge enables students either to be a part of group Innovation and Entrepreneurial Design Project or a group consulting project. The entire programme emphasizes on the essential connection between theoretical learning and professional experience. Theory and experience, this linkage reflects in the core curriculum, ensuring that GBSRC students always remain one step ahead in the increasingly competitive global environment. The MBA programme focuses not only on learning from books but also getting hands-on experience from the industry. The course to the curriculum is designed foster strong conceptual orientation on the basics of various management disciplines a positive attitude with a sound business ethic to make the students excel both personally and professionally. The two-year MBA programme GBSRC offer Dual Specialization as per the changes needed and future requirement of the industry benchmark with the best of the course of its kind. The design of the courseware is based on the feedback reviewed from the industry experts and alumni with varied levels of industry experience. The students are given exposure to the real business environment through various guest lectures, Panel discussions, Seminars that are addressed by experts from the industry. Participative classroom learning is an integral part of classroom delivery and the students are encouraged and given additional credits for being participative in the class. The students are trained in a systematic manner of the nuances of cutting edge knowledge with the objective to make them industry ready at the end of the two year programme. Written and oral communication skills in English are given priority to improve articulation of subject knowledge. Communication lab with full infrastructure is available to the students. The Two-year full-time programme in GBSRC is designed to empower students to become successful business professionals in the challenging global scenario. In an age of blurred geographical frontiers, the programme offers practical insights into the international dimension of every business function. On successful completion of the course, students will be awarded the MBA degree. The course is in Semester pattern. There are four semesters. Each semester includes the core subjects and also much value added activities like Personality development, GD/PI and training. The students will have to appear for written exams and pass in all the core subjects. 1st semester includes core/general subjects and few personal competency building activities. 2nd semester, there will be functional subjects after completion of two semesters the students will have to go for summer training for a period of two months in industry preferably in the area of their chosen specializing groups. 3rd semester, the students are introduced to Specialization subjects. 4th semester, the emphasis is given in practical/Integrated aspects of the subjects. However, the major thrust on grooming the students for professional continuous to be there in all the semesters starting from the first one. An awareness of current issues in business and management which is informed by research and practice in the field. An understanding of appropriate techniques sufficient to allow an investigation into relevant business and management issues. The ability to apply relevant knowledge to practical situation. Human Resources Management International Business Management.